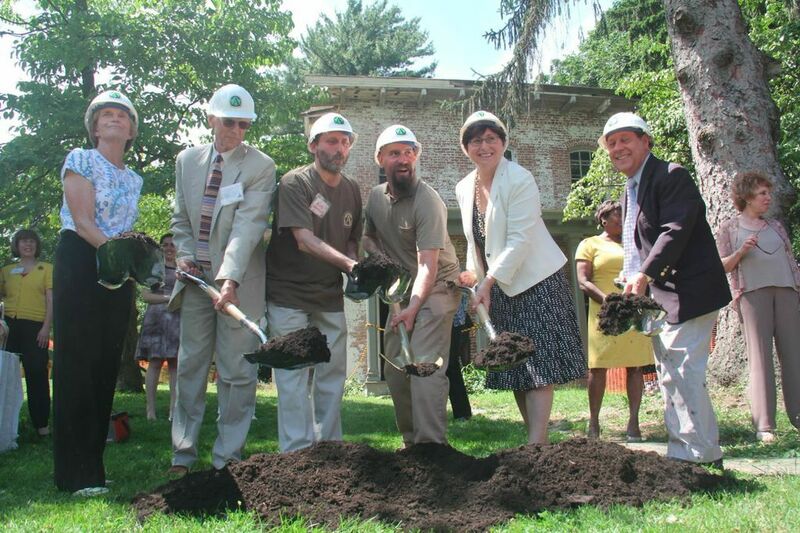 The official groundbreaking for the Keeper's House Restoration project drew happy crowds on Friday June 27th, 2014! 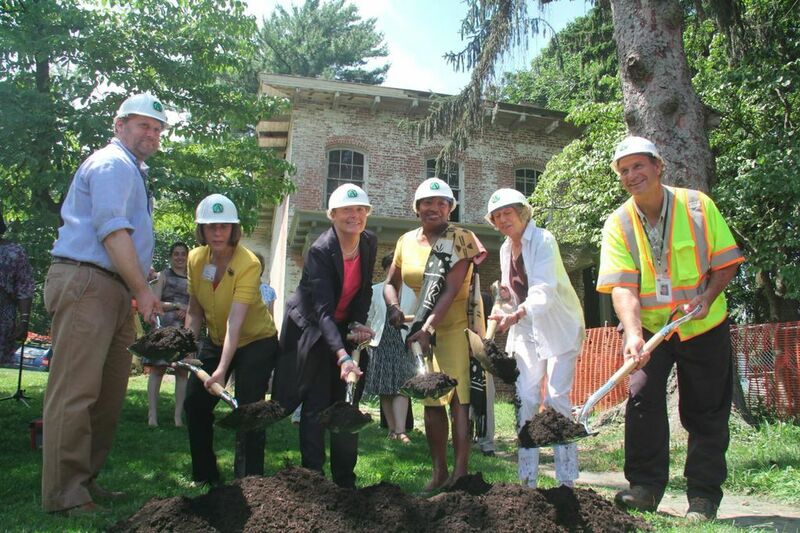 Top pic, left to right: FOCA Board member Douglas Emilio; Linda Cooper, Regional Director at New York State Office of Parks, Recreation and Historic Preservation ; Dobbs Ferry Mayor's representative Liz Dreaper; State Senator Andrea Stewart-Cousins; FOCA President Mavis Cain; project contractor David Furaro. Bottom pic left to right: Lucy Waletsky, Chair of the New York State Council of Parks, Recreation and Historic Preservation; project Architect Steve Tilly; FOCA Vice-President Robert Kornfeld; Park Manager Gary Ricci; County Legislator MaryJane Shimsky; Assemblyman Tom Abinanti. The building will be restored and open to the public in Spring 2015 with State Park offices and restrooms. The Friends are now raising funds for state-of-the-art exhibitions and displays. To view a PDF of our plans for the displays, click HERE. For a slideshow of the groundbreaking event, please click HERE.